Located steps away from Chattanooga's downtown attractions, River Gallery calls visitors to Bluff View Art District and into a retreat away from hurried life. River Gallery sits snugly between its neighbors, the Hunter Museum of American Art and the Houston Museum of Decorative Arts, on a scenic bluff overlooking the Tennessee River. 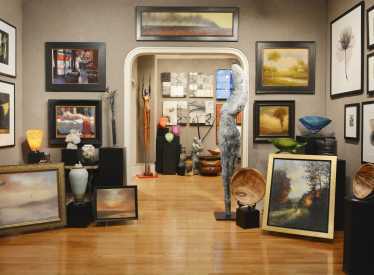 Inside River Gallery, rooms are divided into smaller galleries connected by sculpted doorways with each room focusing on different forms of visual art. 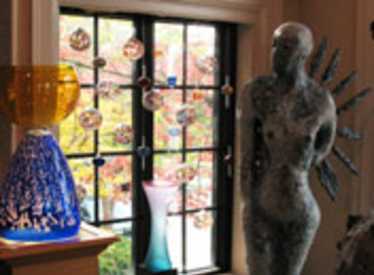 In addition to fine art, River Gallery houses museum-quality craft including studio glass, turned and carved wood, functional and sculpted clay, metal, and textiles. 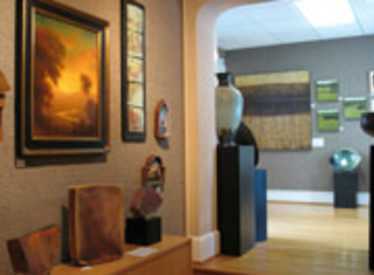 Rotating artists hold exhibits at the Gallery each month. All art on display is available for purchase. Come meet pastel artist Mike Berry at River Gallery! Mike will be drawing in the gallery. Watch him work, ask him questions, and enjoy his art. Join the fun! Saturday, April 27th, from 1:00-4:00 pm. Free and open to the public. Surround yourself with art. Show this coupon and receive 10% off your purchase at River Gallery. Offer valid on selected items for one time use only. Offer may not be combined with any other discount.